Delivery man sending package to receiver on doorway. 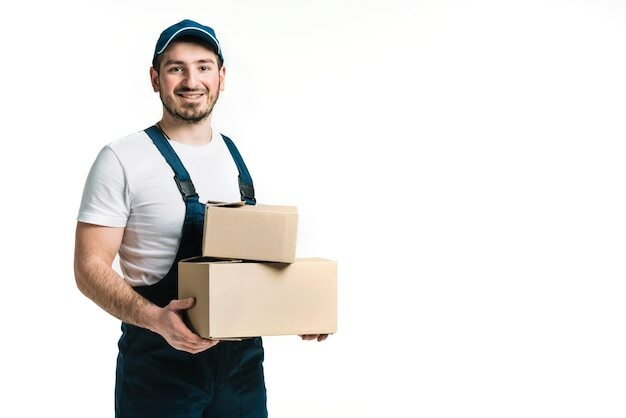 Happy delivery man with box. isolated on a white background.